You are in the right place if you are looking for new or used office furniture in Broward County, Florida. Our company, Direct Office Solutions, carries a wide range of executive desks, office chairs, conference tables, and much more. This part of Florida is a true tropical paradise with a vibrant business environment, and we serve the entire county, from Pompano Beach to Fort Lauderdale to Hollywood. Simply put, for used office furniture in Broward County, Florida, Direct Office Solutions is the only name you need to remember. If you are looking around at a big empty space, you may have a hard time envisioning the ideal configuration. This is understandable; you know your own business, but you are probably not a space planning expert. Our company can and will step up to the plate for you under these circumstances, and we can also help if you want to redesign an existing office environment. As we have stated, we have a wide variety of executive desks and office chairs in our inventory. 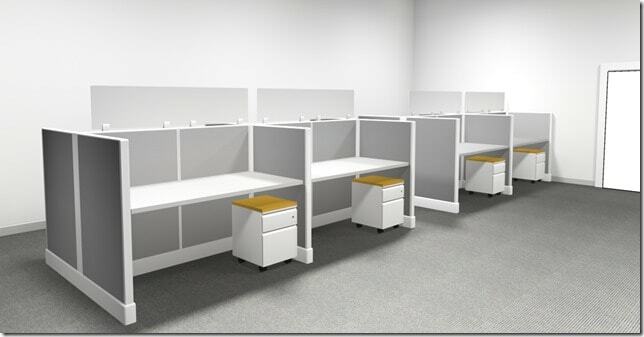 We also offer remanufactured workstations and office cubicles to Broward County business decision makers, so we can work with you to provide a tailor-made solution that is ideal for your business. When you think about the level of expertise that it takes to create two-dimensional and three-dimensional drawings of a custom office design, you may assume that this service comes with a hefty price tag. In fact, we provide designs free of charge for clients who are going to be purchasing their new or used office furniture from our company. We offer new and used office furniture that comes from the leading names in the business, so we provide top-quality products, but we go the extra mile to keep our prices affordable. Our inventory includes products that have been sourced from Great Openings, Darran, Davis, Tayco, Compel, and a number of other highly respected manufacturers. Now is the time to take action if you are interested in executive desks, office chairs, workstations, conference tables, waiting room chairs, office cubicles, or remanufactured workstations. Our knowledgeable Broward County, Florida used office furniture specialists are standing by right now to answer all of your questions. We can be reached by phone at 954-440-4410, and you also have the option of entering into an online chat session with one of our representatives.